Who is stuck for ideas to entertain the kids this summer?! 1 week into the 6 weeks holidays and my two have muttered the words i’m bored already!! We are not going on holiday until October this year and have decided to have a summer staycation. 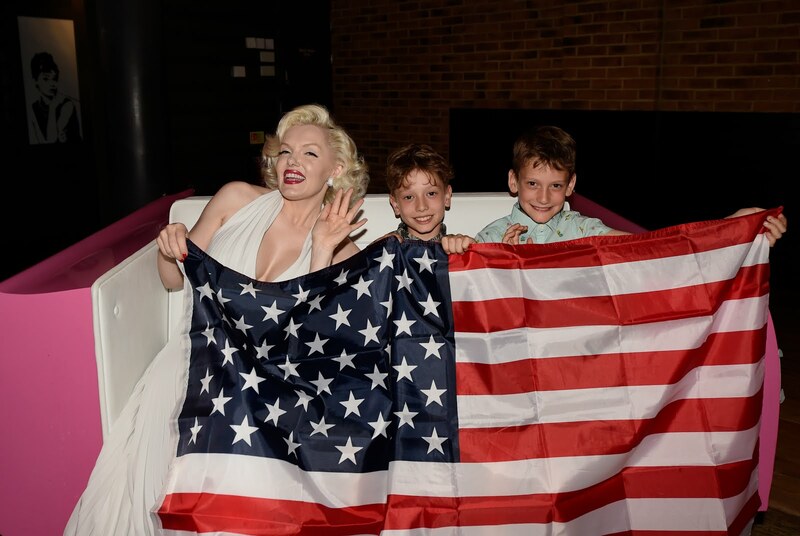 There are a ton of fun days out for the little ones in London and I thought I would share a fab evening we spent at the new Hollywood Bowl in the O2 recently, my boys enjoyed it so much we are planning a day there with friends soon, perfect if this weeks rainy weather is here to stay. We were lucky to be invited to the launch event and had a blast hanging out with another Insta mum and all round lovely lady Ashley from @adaintymum we ate far to much as it was all so yummy and when the kids were occupied on the array of arcade machines I may have sampled a couple of cocktails!! If you go I would recommend booking one of the VIP lanes as we had our own area which felt extra special, this would work so well for a birthday party. The O2 was so easy to get to being just a few stops from London Bridge on the Jubilee Line, you could even hop on the Emirates Airline after my boys thought this was fab and exciting although my tummy may have turned a few times! !